Egypt continues to remain a popular holiday destination for Britons despite the revolution and political changes that have taken place in the country in recent times, research shows. Holidaymakers in Britain are still happy to take out a travel insurance policy and head off to explore the African nation's rich history and culture, suggests the study by experts at Plymouth and Bournemouth universities. Researchers have been studying the impact of the political upheavals that have swept across north Africa and the Middle East on the attitudes of British travellers. They found that while the interest in countries such as Libya has fallen significantly, visitors have not been put off Egypt by the uprising there. Their findings have been backed by American Express figures showing steady sales of the Egyptian currency. 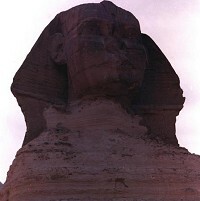 Plymouth University's Yeganeh Morakabati noted: "Egypt is a unique destination with many unique features and the British have a long standing travelling relationship with the country."